I love the idea of a J/C pairing. 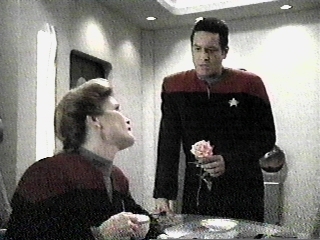 Chakotay is the only person the Captain could really be that close to. "Resolutions" really sealed it for me. I love the "Angry Warrior" story Chakotay shares with her. That scene and the massage scene were among my favorites. They have so much chemistry with each other.